When deciding to purchase a car, drivers are faced with the predicament of what model and body type they want their new vehicle to possess- Sedan, Cabriolet, Touring, Gran Turismo, Coupé and the list goes on. Many are unsure of the differences between the class of cars, and whether or not there really are any differences to begin with. The Coupé design can sometimes be overlooked for other more practical body types, but if given a chance, it has great things to offer drivers. Mississauga residents should continue to read through this article by Pfaff BMW to learn the benefits of buying and driving BMW Coupé cars. 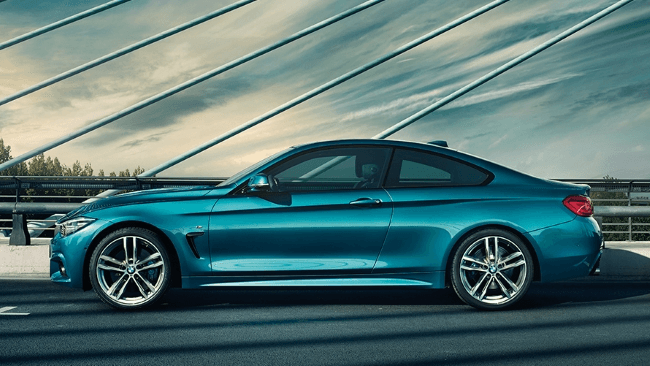 When it comes to the exterior styling of BMW Coupés, their designs offer sportier looks, sleek bodies, and aerodynamic features that create all over striking models. Where Sedans are four-door cars, Coupés are two-door cars, boasting a visually dynamic side profile, complete with strong, angular lines, muscular wheel arches, and elongate the windows and doors. One of the top advantages of owning and driving a Coupé is versatile handling capabilities. The overall performance of this class of car is heightened, as they are designed with a shorter wheelbase in mind, dramatically increasing the ability to turn quickly and manoeuvre through tight spaces, making them great cars for city driving and traffic. Coupés are designed with a lower centre of gravity in mind. As they are lower to the ground than other models, they can provide a more intimate connection to the road. The suspension and robust chassis work in harmony to create a smoother ride. A Coupé can offer drivers increased acceleration speeds, reaching 0 to 100 km/h seconds before their sedan counterparts. Their overall weight is usually a lot less than other models, making their ability to reach top speeds in a shorter time, greater. Overall if you are looking for larger interior space, with added cargo capacity, than a sedan may be for you. But if you enjoy the thrilling drive of fast and capable cars, then acquiring a BMW Coupé could be in your best interest. Whatever you are looking for, a visit to Pfaff BMW will see you test driving the latest in the brand’s lineup so you can find a class of car all your own! Click here to find our contact information, to fill out our contact form for further assistance, or schedule a test drive of our Coupé models today.